I love baking and I love sharing something nice. So, when I bake something nice I love to share it. 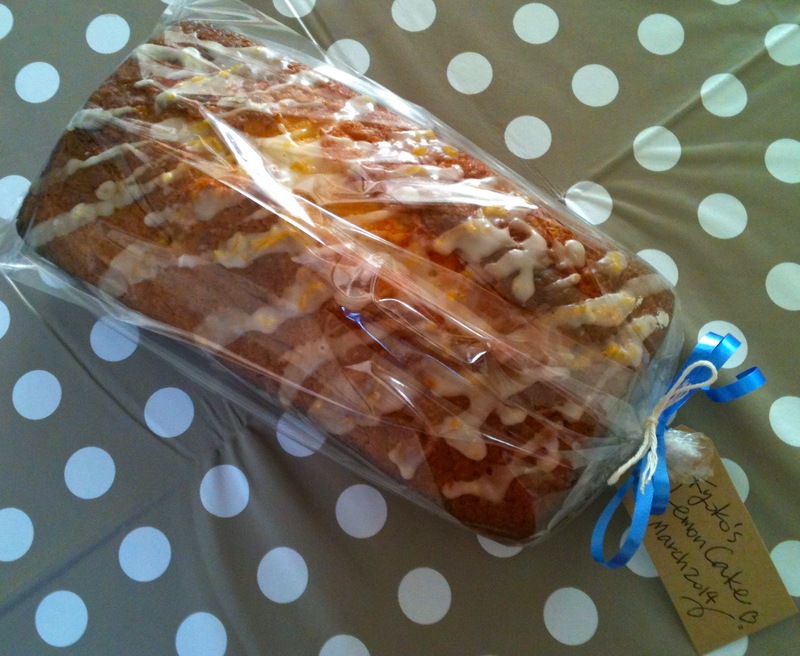 Sometimes a simple gift can be very effective if it's home-made with a bit of care. I often make cakes and biscuits for dinner party presents. The tip is making it simple so that you won't stress over it but enjoy making it. 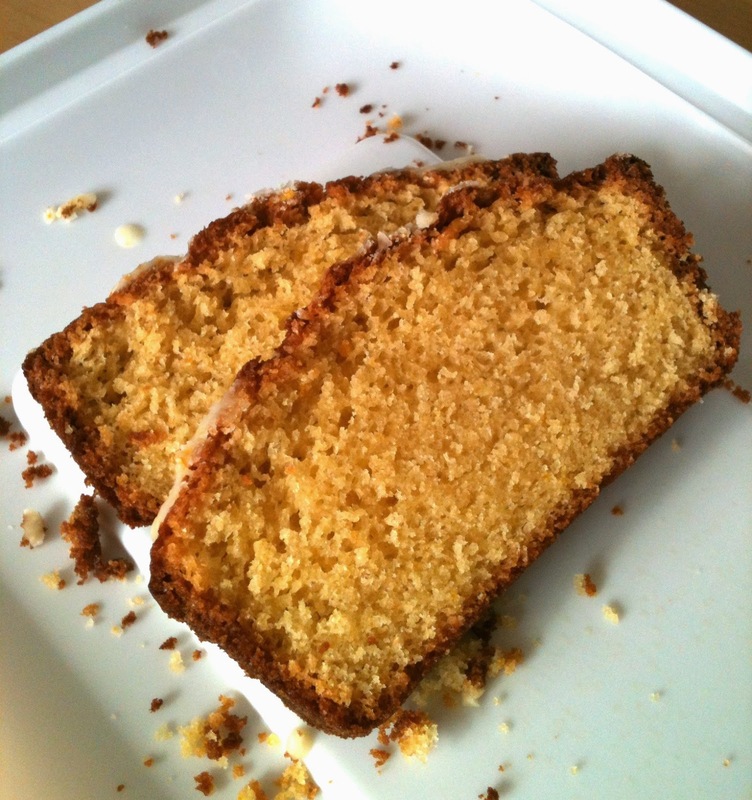 Take this is simple lemon cake for instance. I made it in the evening of the day before the Sunday lunch that I was invited to. It only takes 10 minutes to put together and the oven does the rest. I wrapped it nicely with ribbons and a label. Nice little present. This cake recipe is one of my simplest and reliable recipes, so it's hard to get it wrong. The photo above is baked in a 2Ib loaf tin. Here is the recipe. (click here). I stock clear cellophane bags in the cupboard for present wrapping. These are very handy. I also stock some labels and ribbons which are also available online to buy. A home-made gift is a great alternative to a bottle of something if you have a little time to spare. I was looking for a small loaf tin to bake a smaller cake to fit in my cellophane bags. 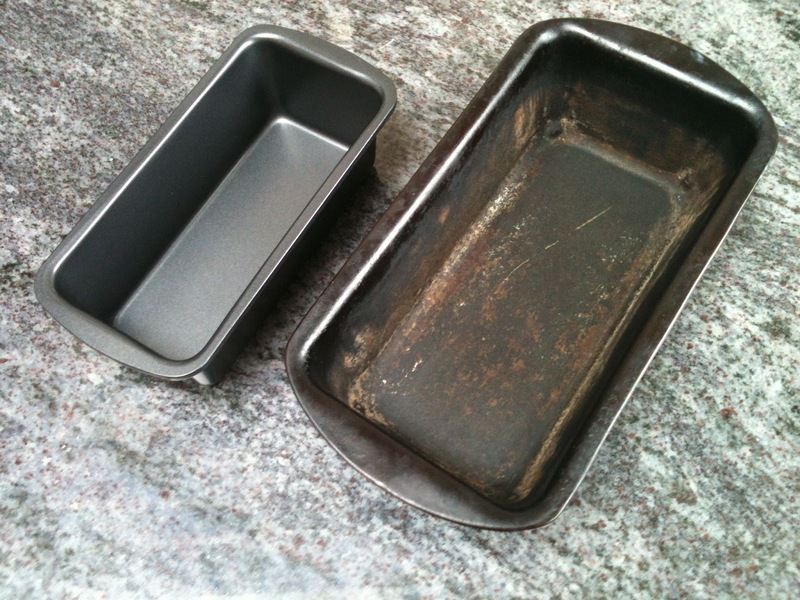 2Ib loaf tins are very common and you can find them very easily. In fact, most of the loaf tins you can find in a baking section in a supermarket are 2Ib tins. I finally found this small 1Ib loaf tin in a small local household shop. For my new 1Ib loaf tin, I adjusted my simple cake recipe. Put everything in a bowl and mix with an electric hand mixer. Pour the mixture into the 1Ib loaf tin and bake in a preheated oven (180c / 170c fan) for about 40 minutes. Strong Bread Flour for Cake Making?? Well, I was making cake …. Not bread. However, I put strong bread flour in the bowl instead of plain flour. I was using an all-in-one method which means putting all the ingredients (butter, sugar, flour and eggs) together in one bowl to mix. The flour was the last item in the bowl, so I couldn’t take it out. I only realized what I was doing when half of the flour was in the bowl, but I managed to stop. What should I do? I was in a panic, so I grabbed the plain flour bag and poured the other half quantity….. So there was half strong flour and half plain flour in my cake mixture. I knew there is a reason not to use strong flour for cake. It makes it heavier, rise less and liable to sink. Strong flour is made from 'hard' wheat varieties which are high in gluten. This makes it ideal for bread-making where dough needs to expand and rise well and create a chewy texture. Strong flour is not suitable for cake recipes because cake shouldn’t be chewy but light and short. Ok, but it was too late and I didn’t want to waste all the ingredients. So, I added a little more baking powder than usual and tried very carefully not to over mix it. This should have stopped gluten stands forming to some extent. The result? Surprisingly good. It didn’t sink much and rose quite well. Best of all it had a nice slightly spongy texture which I don’t normally have in plain flour only cake mixture. Pity that I can’t show you the photo of the cake when it came out from the oven. However, there were only 2 slices left within a few hours, so this may tell you how good it was. When the cake is baked, let it stand for 5 minutes, then turn out on a plate.